Like any wax, mustache wax is specifically made to provide a thick and pliable consistency to help you control the shape of your mustache, and it is essential to maintaining all mustache styles. Mustache wax also assists in training the hair on your mustache to grow a certain direction, making it easier over time to maintain the clean look you want or achieve radical and creative looks such as by manipulating and curling your mustache. Ingredients that are typically found in mustache wax include beeswax (main ingredient), shea butter, petroleum jelly, and various types of plant-based oils depending on the specific fragrance you want to achieve. For those looking for information on how to make your own beard wax, these are the ingredients to start with. Be careful when choosing a wax to remember to note the fragrance. Considering it will be right under your nose, it’s important to ensure that the smell is pleasant to you, or otherwise, you will experience strong pungent smells with the wax. The first thing to understand about mustache wax, oil, and the balm is that they are all necessary for maintaining a good looking and healthy mustache. However, they are used for entirely different reasons, and a mustache oil will not do the job of a mustache wax or balm. 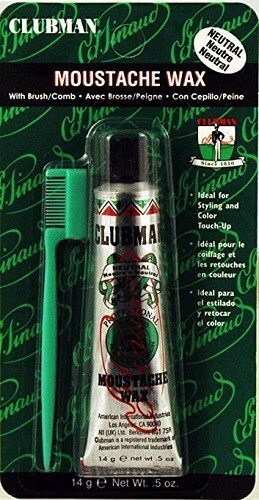 This product is used predominantly to mold and shape your mustache while keeping it healthy and moisturized. Balm and wax are very similar in texture, though the main difference between balm and wax is that wax is meant to hold its shape and is perfect for men who suffer from mustache hairs that tend to go rogue. If you are trying to style your handlebar mustache or an epic stache like an imperial, wax is the way to go. Balms tend to be right in the middle somewhere between oils and waxes. A mustache balm is going to provide a little more than oil but not quite to the strength of a wax. Balms are responsible for providing a moisturizing effect while giving a little bit of styling help. However, for those looking for lasting holds, the wax is still the answer. Remember that the best beard balm will not dry up or hold as wax does. Oils are completely different in their texture and consistency. While they are not typically used as a styling agent, it would be wrong to assume they have no impact on how the hair lies. Oils are meant to provide moisturization and shine. They also help keep the skin where the mustache is moisturized. Continued use of mustache oil will work to soften the coarse hairs of your mustache, making it easier for the balms and waxes to do their jobs of styling and holding. Mustache wax is essential for every style you wish to achieve. Quite simply, mustache wax will help you train your hair to move in the direction and shape you desire, all while protecting and moisturizing your mustache. The hairs of the face are incredibly coarse and require extra care and manipulation to get that style you want. Waxes for the mustache and beard have been used for millennia for this type of facial hair treatment. The application is fairly simple. Spread it across the tips of your fingers and rub it in, so the wax melts from the heat of your hand. After it is spread on your hands, gently massage the wax into the mustache. 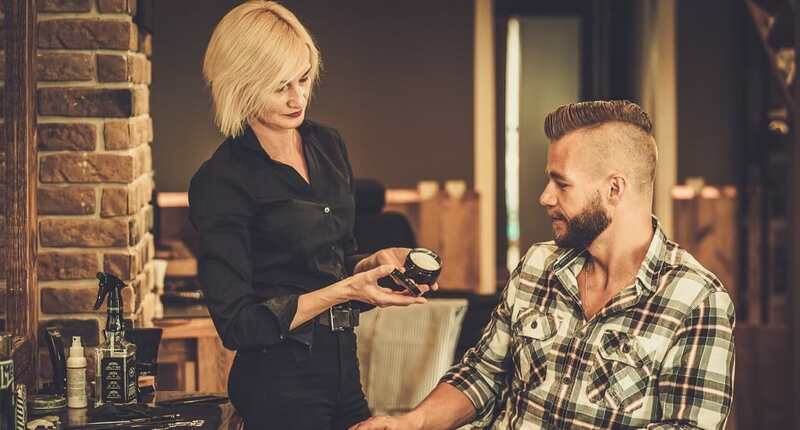 Be sure to have your complete beard grooming kits ready and some durable mustache combs, so you can style the mustache as you apply the wax to it. If in the application process you find there are some uneven hairs, simply pull out your small mustache scissors and trim your stache to make it even. You should take enough mustache wax to cover one of your fingers and then spread it across. Taking too much will mean having lots of excesses that may dry and look bad in your facial hair. Too much wax also can prevent the mustache from having any pliability at all, and it will just look unnatural. You should apply your mustache wax after you have showered and cleaned your mustache out with proper soaps and conditioners. Remember never to use regular body wash or shampoo on your facial hair. Get specially made soaps that prevent the hair and skin from drying out. This will make the grooming process all the easier. This is the most obvious point. Do not trust a wax that does list the ingredients. What, after all, are they trying to hide? Make sure the wax is made of the safe and natural ingredients listed above. Other ingredients are ok, so long as they are known to be safe and have some direct impact on how the wax will work for your mustache. Be sure to find ones that have good reviews. If you are looking on sites like Amazon, be sure the reviewers are verified purchasers and only take those reviews into account. In general, anything less than 4 stars is simply not a wax you want to take a chance with. Of course, you would only pick a scent you would like, but be careful. Sometimes the scents do not always smell they way they are advertised. Again, look at reviews and see what people thought about the scent. If it was advertised as sandalwood, does it really smell like sandalwood? Does it appear to be well packaged? Will the company selling the wax stand behind their product if something should happen? In most cases, if the something went wrong, and a company was willing to reimburse or replace the product, then that is a good sign and reviewers will typically note that. If you are starting out with waxes, then it is best to purchase a premade wax rather than immediately attempting your own DIY mustache wax. Once you start your search for a perfect ‘stache wax, you will realize how many of them there are on the market. Maybe you can try all of them, and experiment until you find the best one. But, let’s face it – that will take a lot of money and energy that you could be investing in something else. 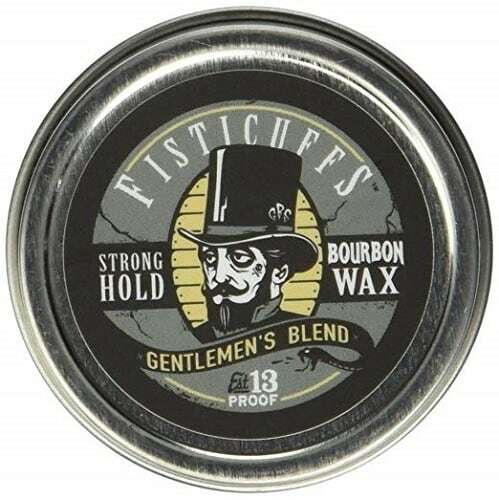 For men looking for a mustache wax that represents the best combination of scent and function, Fisticuffs Mustache Wax is the ideal solution. The formula is handcrafted to keep your mustache out of your mouth. Although it can also be used for a beard, it provides better hold for a mustache, especially handlebar curls. The wax is poured in a vintage slide top locking tin of 15 grams. This makes it very convenient to be carried around in pockets wherever you want to. The smell is another thing you will love because it’s pleasant, subtle and not overwhelming. The aroma is a combination of citrus and rosemary. There are quite a few benefits you will experience with this product. First off, it will give your mustache a medium to moderate hold. Also, it acts as a moisturizer, so you get a two-in-one formula for just a few bucks. 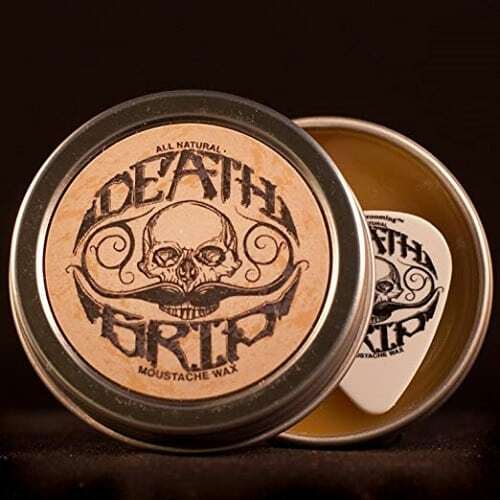 Handcrafted and made with only the best, entirely natural ingredients, Death Grip Moustache Wax will condition, strengthen, soften and tame your wild facial hairs and the dry skin underneath. The product is extremely firm and concentrated, and offers a nice competition grade firm hold that keeps your mustache on point the whole day. You can confidently say that it’s, maybe not the strongest, but one of the strongest waxes for mustache these days. 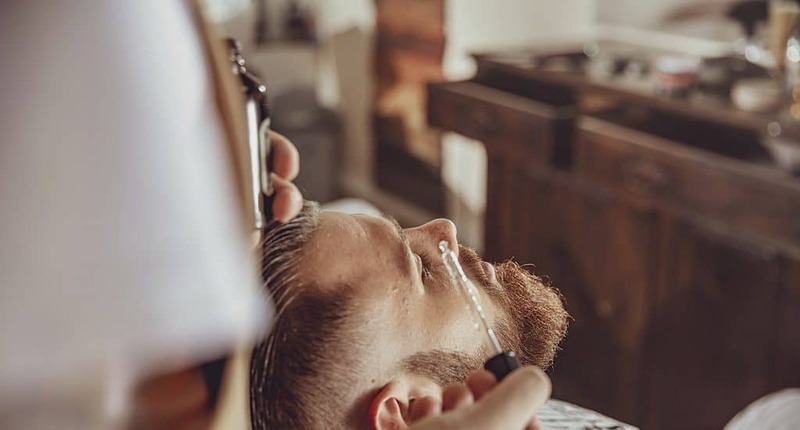 The fact that it’s highly concentrated means that a little can go a long way, hence, if you don’t want your mustache to look waxy or sticky, start with a small amount. The metal tin of 1 oz will last you a couple of months but bear in mind that you will need some heat source to apply the product on your facial hair. Most men use a blow dryer for this purpose, but putting a closed tin under hot water or leaving the wax for a few hours on the sun will also do the trick. Subtle pine scent is not overbearing, and it won’t disturb you in your everyday activities. Use a handy guitar scraper pick to scrape out the needed amount of wax from the tin. Beeswax, tea tree, jojoba, coconut oil, pine sap, petroleum jelly and some essential oils make a splendid mix of Fisticuffs Gentlemen’s Blend Mustache Wax. The product is made by hand and comes in a 1 oz tin. You can say that this is a generous size of container providing that a little amount of wax is enough to keep your mustache in shape almost the entire day. In case you’re wondering what’s the exact amount, let’s say that it’s somewhere around the size of a pea. Although the manufacturer recommends that you melt it by rubbing it between your index finger and a thumb, this may not be enough. The consistency of this wax is very thick, and it can get really hard and tough to get it out from the tin when you leave it somewhere where it’s cold. If this happens, hold the tin tight in your hands for a few minutes, and it will start melting. When applied, it smells like bourbon mixed with sandalwood. What differs Clubman Moustache Wax from other products of its type is the consistency and the package. Other waxes come in tins and are usually very thick, while this one is more like a thick cream that looks like toothpaste and is stored in a tube. Having a consistency like this makes it greaseless and extremely easy to spread through the ‘stache with only your index finger. You can also use the included comb for this purpose, but the comb itself is not that efficient, as some customers have noticed. Usually, waxes are hard to remove, but that’s not the case with this particular product. Using only water, and maybe some soap, you will easily wash it all out. The hold it provides is very strong, and it will last you the whole day, with maybe some occasional touch-ups here and there if you are planning on drinking a coffee throughout the day. As a bonus, this wax is pleasantly scented with citrus fragrance, but don’t worry, the smell is not overbearing. 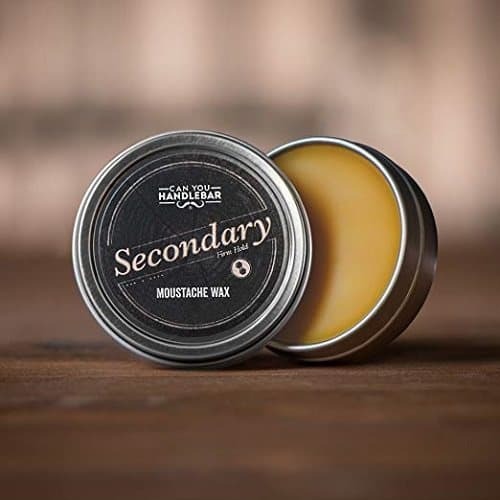 From a crush-proof stainless steel tin in which is stored to oil and waterproof labels, Can You Handlebar Moustache Wax is made with all premium ingredients. It comes in two variations, as primary (for daily hold) and secondary, which provides extra hold. If you want your ‘stache to stay on top of the game the whole day, pick the secondary one. The manufacturer warns that you can’t use it if you don’t have some heat source to melt it because it’s very stiff. The best and the most convenient way to do this is to warm it in your pocket. So yes, you can take this wax in your pockets wherever you go in case you need some fast touch-up. Another technique is to roll it between your thumb and forefinger as the friction will heat the product and make it more pliable. Scoop out only a small amount, about grain size, because the little will be more than enough to keep your mustache strong and in shape the whole day. Seeking for a mustache wax that will last for a long time and that you can safely take with you without fearing that it will come undone? 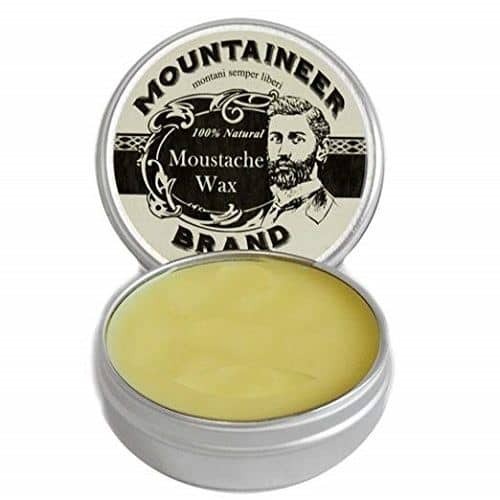 Mountaineer Brand Moustache Wax offers both of these things. It comes in a large 2 oz tin, little can go a long way so it will last you for quite a while, and it has a convenient, secure lid. You can be confident that all of the listed ingredients are entirely natural, beeswax based without any harmful ingredients. Don’t expect a very firm hold for your handlebars, because this wax has more of a natural type of hold. Coconut and almond oil that are included in the mix have hydrating properties that will condition your mustache, while the combination of the beeswax and coconut oil provides control without leaving a greasy residue. The scent is mild and represents the combination of cedar and fir needle. The wax itself is not sticky, and the tint is a neutral color, so it doesn’t interfere with the natural color of your mustache. Photos from: YGphoto / depositphotos.com, kantver / depositphotos.com, baloon111 / depositphotos.com, nejron / depositphotos.com.